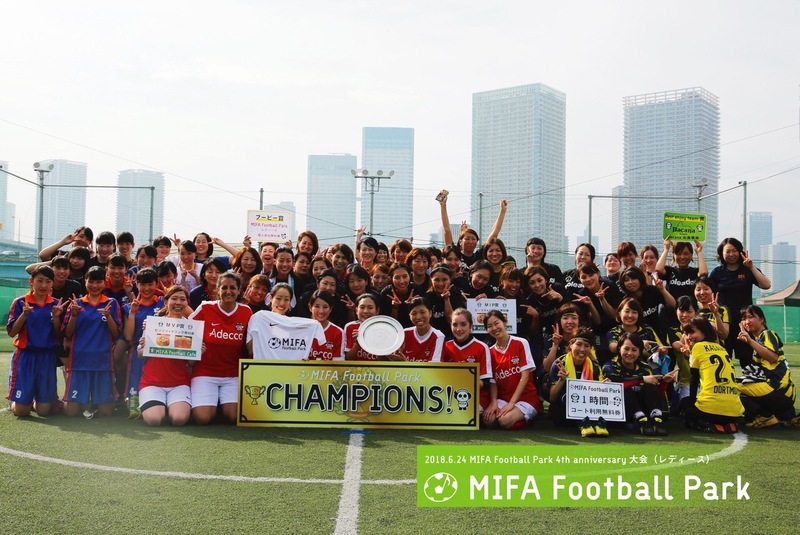 MIFA Football Park holds the first ladies competition of 2019 on Sunday, 10 March. It's 5 on 5 general futsal match based on JFA futsal rule with some local rule. No sliding and no shoulder charge. 8 minutes 1 game. Maximum 10 teams are participating in the tournament and 7 games are guaranteed for each team. There will be prize for the 1st place and other prizes will be given by MIFA. Pitch: 18m x 36m, long turf, outside, for all weather, no studs (cleats) allowed. Facility: Shower and locker rooms are available for all the members.